As a blogger, I think one of the most important things you can do is to keep resourcing yourself – keep learning from other bloggers. 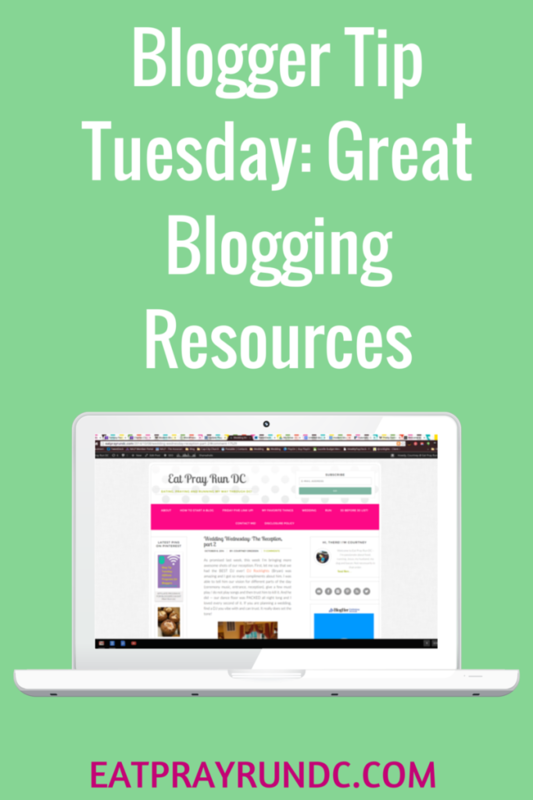 I love to read blogging tips and thought that for this week’s Blogger Tip Tuesday, I’d share some of my favorite blogging resources. You may be aware of some of these great blogging resources but others might be new to you. Read on and be sure to share some of your favorite great blogging resources! First, is Gina, who blogs over at The Fitnessista. She recently created an awesome ebook about building your blog. I jumped on it, downloaded it and read it immediately. Gina’s book is great — full of tips about starting a blog, maintaining a blog, and she also has some tips from other established bloggers. Check it out here: (affiliate link) The Fitnessista’s new ebook “Build Up Your Blog”. She includes tips on how to monetize your blog, how to stay organized and how to deal with negativity. I highly recommend you check out Gina’s ebook (it’s only $12!). Are you following The SITS Girls? If not, you really should be! I know I’ve mentioned them before but there are SO many amazing blogging resources here that I had to mention them again. Their blog contains excellent posts on blogging and social media and I make sure to regularly check in with them each week. Pinterest. It’s not just recipes – I find so many great blogging tips on Pinterest. I’ve written about using Pinterest to grow your blog – but it also can be so helpful on the learning front. I have a Blogging Tips group board that contains lots of great tips — instructions on how to join my group board can be found on the actual board. I also regularly search for blogging tips on Pinterest and find some gems. BlogHer also has some great blogging and social media tips on their website. Katy Widrick is also a fantastic resource (in fact she’s mentioned in The Fitnessista’s ebook!) – particularly her media kit roundup. A media kit is one of those things on my list and I have spent a ton of time looking at the examples that Katy has collected. Her site is a must check if you are looking to read about blogging! What are your go to resources for blogging? Wonderful tips per usual! I sat down and read SITS this past weekend for redesign research – it was all very helpful! oooohhhh i’m excited to learn more about what you’re planning to do! I’ve heard about the e-book and I am going to check it out thank! you should! it’s affordable and has a ton of great tips. I have met Katy this past year and she is a sweetie! I agree she is very knowledgeable! Thanks for the great tips, Courtney! Most of your links are new to me. oh, well definitely check them out! the ebook is awesome and i think you will LOVE katy! These tips are great and I am going to check out this e-book. Being new to the blogging world its great to have some advice! Staci @ hoosier running mom recently posted…5 days left and I cannot stop freaking out! it’s always good to learn new things — there is so much to learn! Oh, wow. I haven’t seen any of these before! I’m definitely going to check them out for some good resources. I love the idea of the e-books. yeah, i’m just now exploring the world of e-books and its vast! I am going to have to download this ebook! Thanks so much for sharing…great tips! My resources are you and other bloggers that want others to grow! I couldn’t agree more – these resources are THE BOMB! Katy is seriously a blogging mastermind!!! GiGi Eats recently posted…A “Zesty” Take on Eclairs! I love this eBook! Great post! These are great tips! I bought Gina’s e-book and loved it. You always have such great tips! These are all new to me so I’ll check them out. Thanks! oh you should – i think you will love all of them! great great resources! Well, you, of course! You are an excellent blogging resource, Courtney! Thanks for sharing all of this great information; the blog redesign continues to look amazing; so excited for you! Ooh I always see SITS Girls but haven’t actually checked it out..on my way now! such an amazing resource! you must check them out! Great tips once again, Courtney! I don’t have that many resources yet–still new and finding I learn something new every day just from checking out other bloggers’ sites. Your Tuesday tips are my main source of blogging nuts-and-bolts info right now! I learned so much from Katy when I started blogging! The ebook is great too. Great tips! I love the SITS website. It’s so useful. Thanks fr the post, I look forward to checking out the other links.